This criticism by the Congress comes on the first year anniversary of the implementation of the GST in the country. 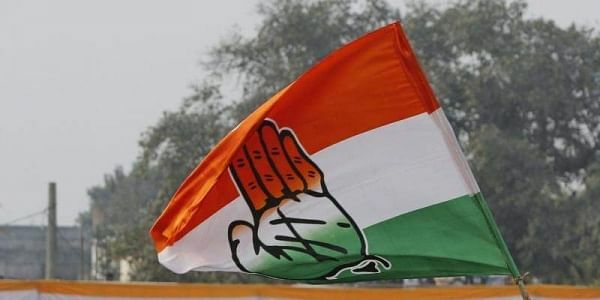 NEW DELHI: The Goods and Services Tax (GST) has not delivered on the promised formalisation of the economy as yet, criticised the Congress party on Sunday. The Congress took to Twitter today and in a series to tweet said, "A year into implementation, the GST has not delivered on the promised formalisation of the economy as yet, while glitches have instead increased the demand of cash. #FailedGST"
They also claimed that the GST is one of the Prime Minister Narendra Modi's U-Turns. "The GST is one of PM Modi's U-Turns. The shoddily implemented and overcomplicated GST has failed the economy. Despite this, PM Modi continues to gloat about it," the Congress said. The party also alleged that the ruling government in the Centre has failed in fulfilling the promises, made during the introduction of the GST. "The huge value of GST, simplicity and ease of compliance & administration has failed. The GST has been largely ineffective in implementation with stacked refunds and cumbersome GST compliance procedures. #FailedGST," the party further tweeted. The GST was rolled out in July last year, after months of deliberation. Launched on the midnight on June 30 by Prime Minister Modi and the then President Pranab Mukherjee, the taxation scheme aimed at bringing all taxes into a single window along the lines of the 'One Nation - One Tax - One Market' goal. However, the GST has been criticised time and again by the Opposition for its negative impact on small traders and Small and Medium Enterprises (SMEs). GST was introduced and helped only the rich people who supported BJP to win the elections.